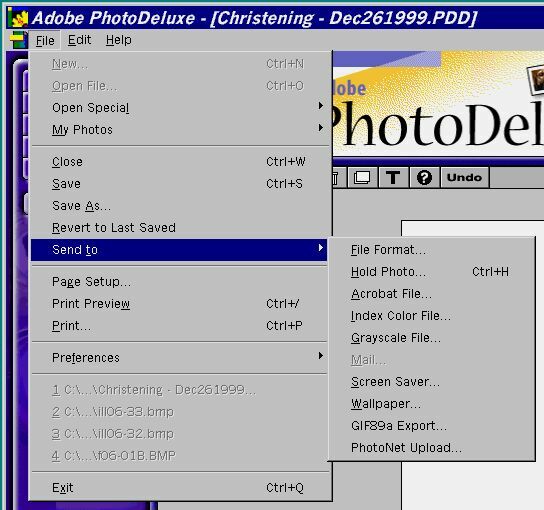 This is for Apple/Mac computer users: Scans made using Adobe Photo Deluxe are stored in the Photo Deluxe (PDD) file format. Web browsers do not support this format so if you want to post the scan on a web site you will need to convert it to a file format like JPG. Here is how to convert the file. 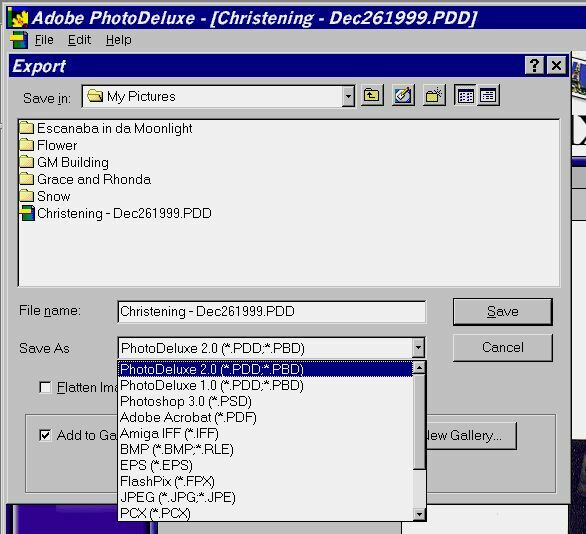 Enter a name for the file in the File name box, and select the JPEG file format from the Save As drop-down list, as the illustration above shows. Click Save to save the file in the JPEG (JPG) format. After you save the file in the JPEG format you can open it up in Photo Deluxe and edit the file. A popular free program to edit files is called IrfanView32.